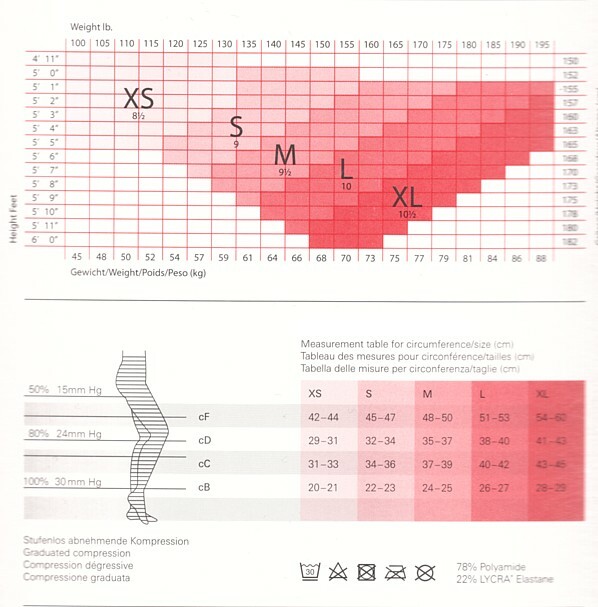 Legline20 is a sheer graduated compression. tight. Designed to prevent and relieve varicose veins, mild oedema and varicosities. We recommend you consult a healthcare professional before wearing support hosiery. Reinforced heel, toe and underfoot. Fiber content: 78% Polyamid, 22% Lycra/ Elastan. Legline20 is a sheer graduated compression. tight. Designed to prevent and relieve varicose veins, mild oedema and varicosities. It is difficult to believe this is a compression stocking as it is so sheer, fashionable and comfortable, generally aiding circulation and supporting your legs. We recommend you consult a healthcare professional before wearing compression hosiery.